The “autologin” command will log you in automatically, assuming that you have the game client set to remember your account name and password. The “bmp” command forces the game to save screenshots as .bmp files. BMP files are higher quality and larger size. The “maploadinfo” command shows diagnostic information such as loading percentage and time elapsed during the map loading screen. Self-explanatory, this command will cause the game to run without music. The “noui” command will run the game without the user interface, similar to pressing “shift+control+h” in-game. The “nosound” command runs the game without any sound at all, including music and other system sounds. “prefreset” will launch the game, resetting all of the in game preferences. 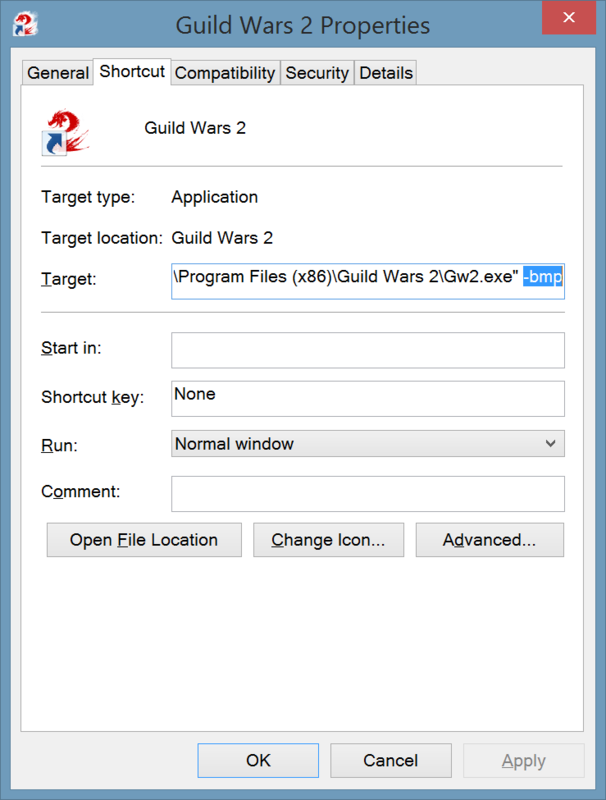 The “repair” command will initiate a repair of the Guild Wars 2 data file the next time the game is launched. In a triple monitor setup, this command will enable the User Interface to spread out across all monitors. This command will disable the wide-screen Field of View enhancements, restoring the old Field of View.